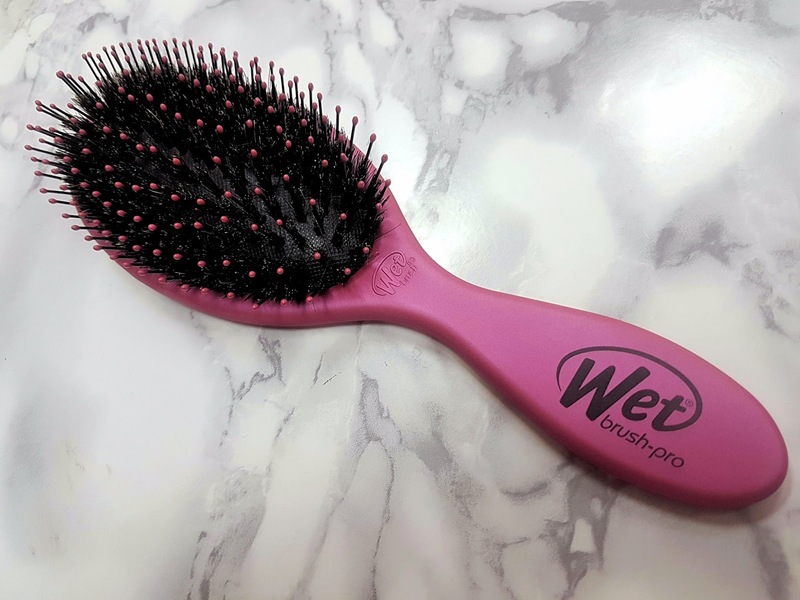 I had been hearing so many good things about the Wet Brush for the good part of the last year. All my favourite Youtubers had been throwing them into their monthly favourite videos and I'd been seeing them mentioned over and over again in blog posts. But like all good things, I had resigned myself to accept the fact this was yet another item that I wouldn't be able to get my hands on in Kuwait and promptly ignored every mention of them thereafter. Fast forward to a couple of weeks ago when during the Centrepoint sale, a very bored colleague and I got out during lunch to see if we could grab a few bargains. I wasn't even on the lookout for a hair brush, but when my eyes accidentally fell upon a swivel rack covered in Wet Brushes, it was all I could do to stop myself from giving out a little yelp. My unbelief got the better of me though and I had to take out a few seconds to google the logo, the packaging, etc to ensure that these were in fact the real deal. There are so many fakes sold here that you just can't be sure these days. After assuring myself that these were actually genuine, I then spent the next 45 minutes or so (no joke! I'm bad at decision making) trying to make the all important decision of which brush to buy. There were so many and each one had irresistible features. Heat resistant tips, intelliflex, detangling, purifying, etc but in the end it was the words "100% Natural Premium Boar Bristle" printed on the back that swayed me! 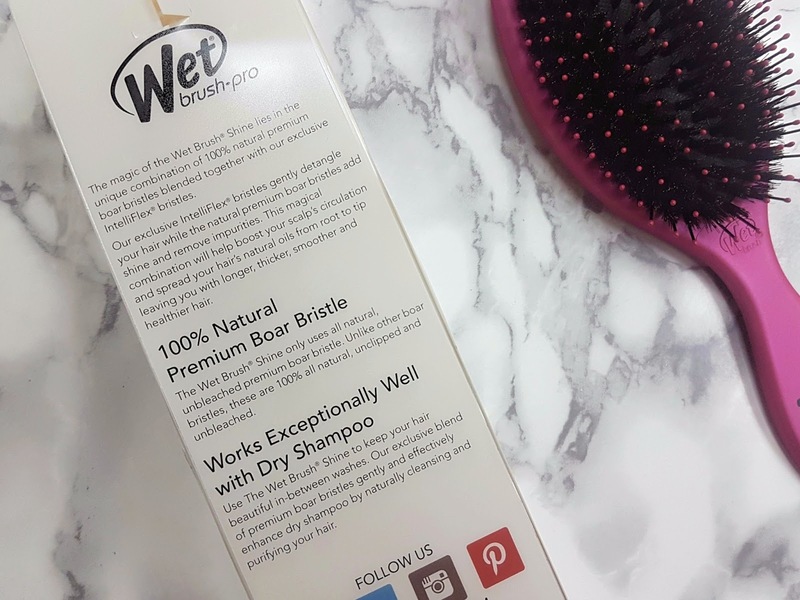 I picked up the Wet Brush Pro Shine with its promise of healthier, smoother and shiner hair. Now who doesn't want that? And what a game changer! 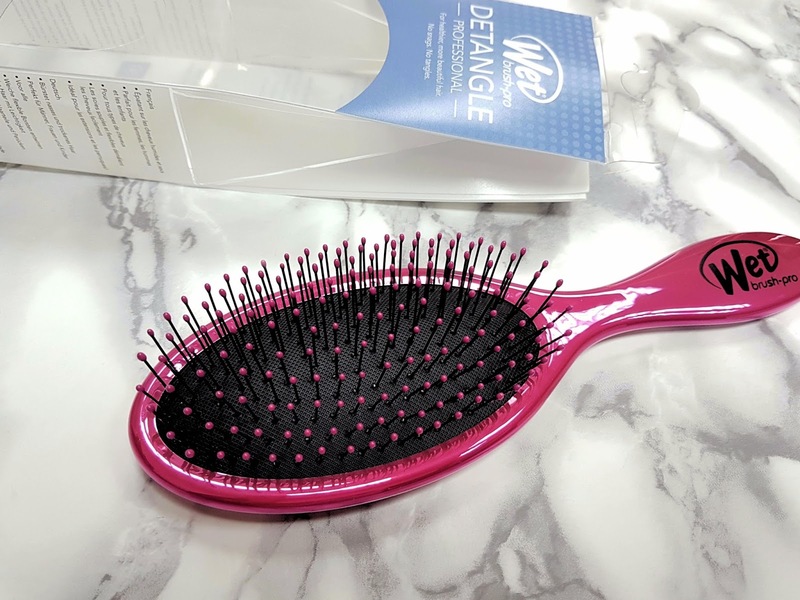 It seriously looks like your standard cushioned brush, but this will detangle and smoothen every single strand without any of the tugging or snagging that you'd normally associate with a regular hair brush. Looks can sure be deceiving! My girls love this so much that they now ask specifically for this brush and so many of my friends have gone out and bought it after trying out mine. I've influenced so many sales that I reckon I should be paid a percentage of the profits! Ha! I went back to Centrepoint a few days later and picked up the Wet Brush Pro Detangle as well. Both serve a different purpose I said to myself trying to justify the unnecessary second purchase. 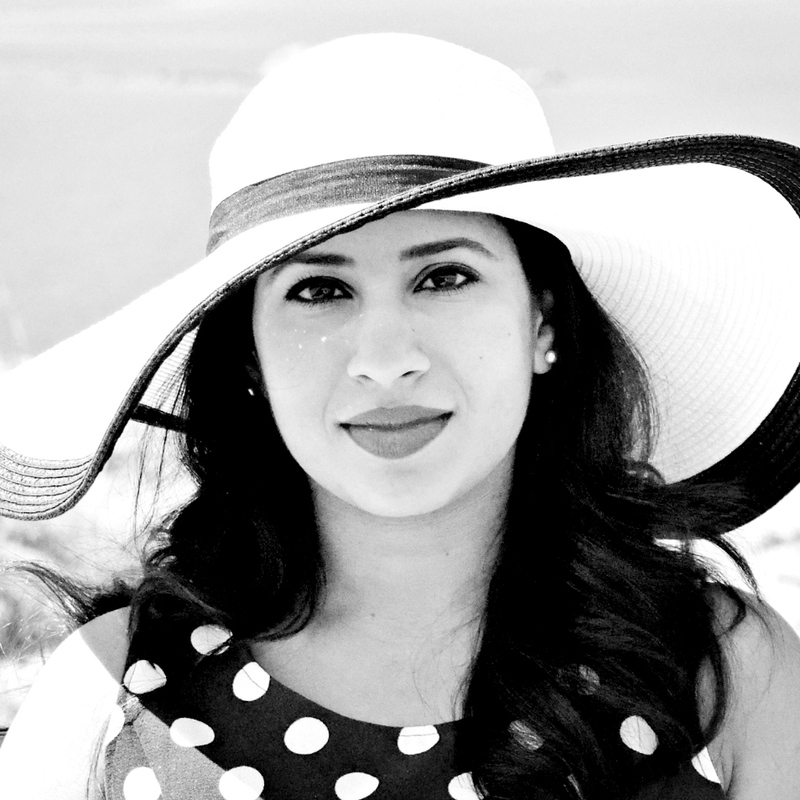 You see, I curl my curly hair with a straightener (what!?) and the Shine version is perfect for brushing through my curls and smoothening each strand out ready for the hot straightening plates, however once curled, the shine brush just does too good a job at brushing through my hair that the curls straighten out a little too much for my liking. This is where the Detangle version fits in. The bristles are spaced wider and they wiggle and bend so graciously that my curls are tamed while still staying intact. The Wet Brush Pro Detangle retails for just 4KD and the Wet Brush Pro Shine an even more affordable KD 3.5! (I picked these up during the sale and got an even better deal) By the way I'm going, I'm sure I'll probably talk myself into picking up the Blowout and Mini versions too, they're like Pokemon, you need to collect them all. Go pick up your Wet Brush at Centrepoint now. Oh, and YOU'RE WELCOME! I'm one of the "influenced ones", nevertheless, all I can say is that the Wet Brush certainly lives up to its reputation.